I was recently inspired to make tapas after reading a post on the very beautiful blog Laura’s Mess. She and friends/fellow bloggers get together and prepare a feast frequently and it’s like a culinary tour of the world. I decided since I love the food of Spain and I am particularly fond of small portions that I would make tapas. You can eat a variety of foods and variety is the spice of life!! For this meal I made some of my favorite Spanish dishes, they are simple and very tasty and I find that when you set out platters of a variety of food for friends it’s fun, add some good wine to the mix and it’s a great party. You can also make some of the food in advance. The meatballs and tomato sauce and the polenta keep very well for a day or two, I also boiled the potatoes for the patatas bravas a day ahead and fried them the day of, you can also make that yummy sauce ahead. I am not going to post recipes for all,most of the recipes are not mine, but I will provide the link to the recipe if you want to make. 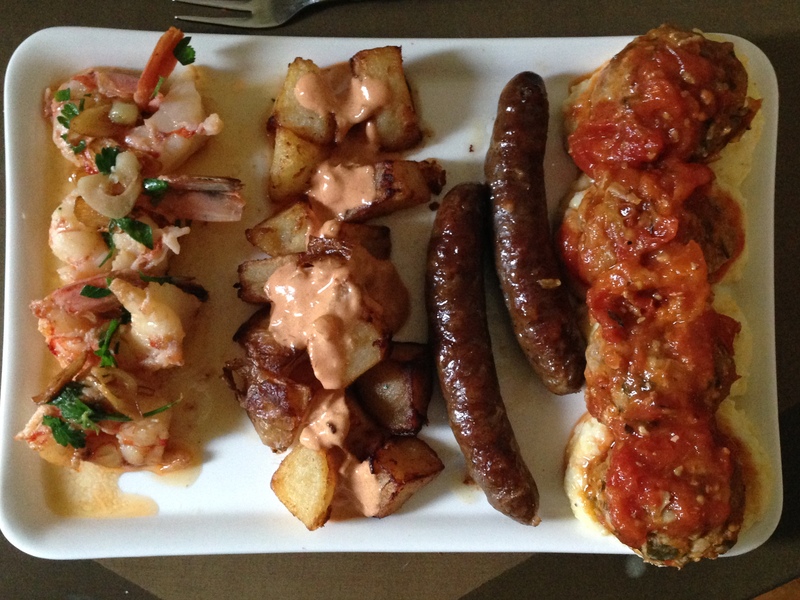 I served the polenta with the meatballs and tomato sauce, the grilled merguez goes beautifully with the patatas bravas. The shrimp, well they are great on their own and don’t forget the cheese and olives and bread with some good olive oil for dipping. Wash it all down with wine I chose Rioja. Sangria would also be lovely with this!! The tomato sauce is very simple, pre heat the oven to 375 degrees. Spread cherry tomatoes and at least 3 cloves garlic on sheet pan, I used assorted heirloom, drizzle with olive oil, salt, pepper and sprinkle generously with thyme. 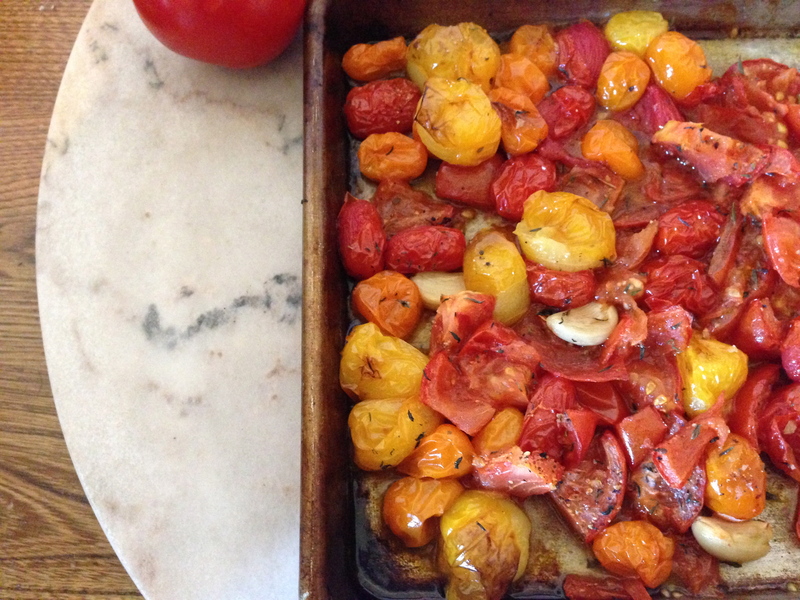 Bake for approximately 20-30 minutes or until the tomatoes and garlic are softened and caramelized. 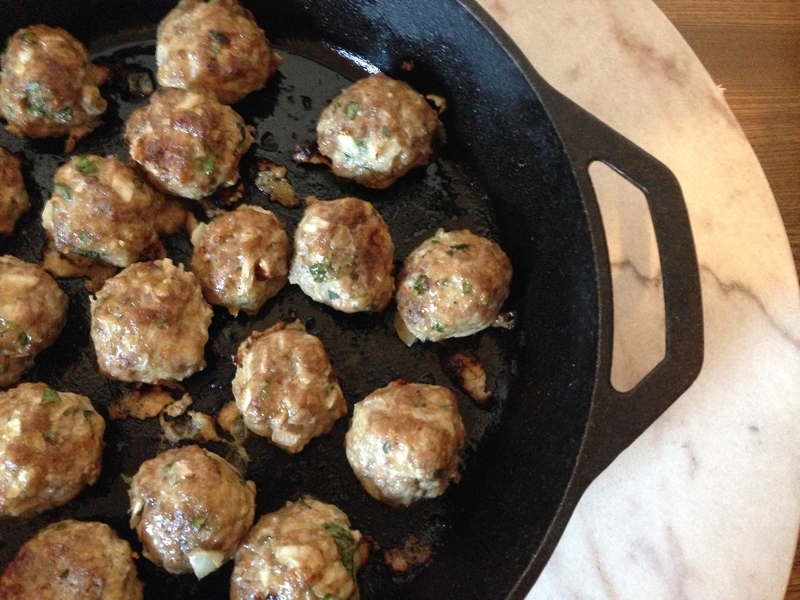 Crush with fork or masher and add the meatballs, simmer on low heat for approximately 45 minutes to one hour. Serve with polenta. In saucepan add the whey or water and pinch of salt, bring to a rolling boil. Whisk in the polenta, don’t dump it all in add slowly while you are whisking it thickens very quickly. Lower heat to low and continue whisking until its done. It takes approximately 3-5 minutes for regular cornmeal and 7-10 minutes for stoneground. Remove from heat add the butter, cheese and heavy cream. Stir until its all incorporated. Cover pan and set aside. I baked the meatballs at 375 degree’s for 30 minutes then finished on stove top simmering in fresh tomato sauce. 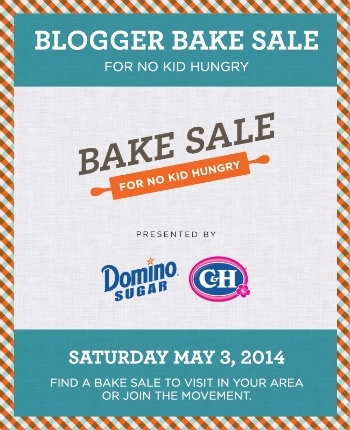 ← Bloggers Bake Sale For No Kid Hungry-One Week From Today!! Thank you its perfect for entertaining! I adore tapas and these look wonderful. Very inspirational. Have you ever been to Spain? It tops my travel list. Yes, I visited Spain and love it, Was only there a few days and I definitely want to go back to spend all of my time there. Ibiza is on my bucket list! Erik and I love tapas! So simple and inviting and delicious! It really is so simple, I love tapas also! Yes please! Tapas are great. When you get them at a restaurant, you really get the sense that you’re sharing a meal because everybody gets a little taste of everything. Something about tapas is fun, maybe it’s the variety not sure but I love ordering lots of small portions Thanks so much. Yes, Manchego is one of my favorite cheeses. A very distinct but not too assertive flavor, very buttery and delicious. It is amazing in polenta. Thanks so much. Looks fabulous! I’ve always used Parmesan with polenta, but I’m gong to try your idea of adding Manchego now… as well as the roasted tomato sauce to go with it. 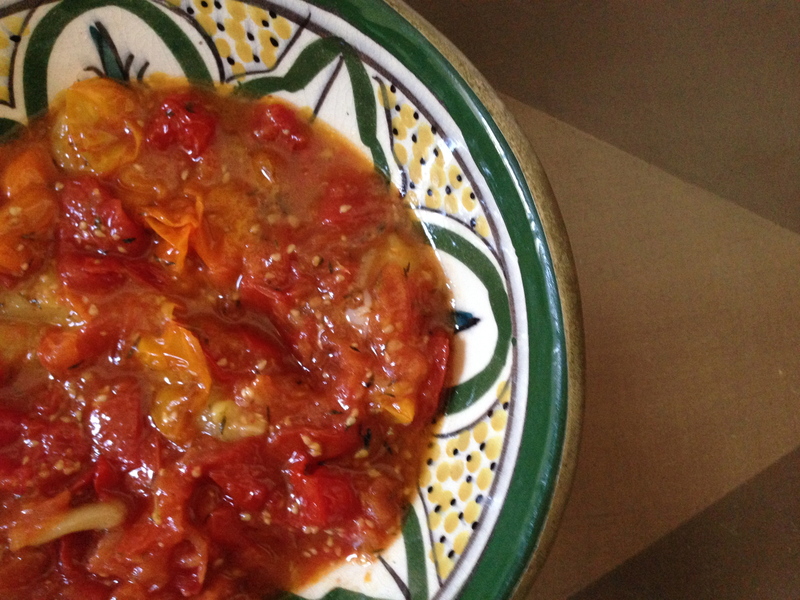 The manchego is amazing in the polenta and your home grown tomatoes will make an amazing sauce, Thank you so much. It really is thanks do much! Thanks so much, it was wonderful and fun to eat! Great display and excellent choice of dishes Suzanne! The “tapeo” is so much fun! ,,,and oh!…the wine! Love Tapas! The concept of the small plates is my favorite way to eat. I see some very interesting dishes! Yes me too, I prefer small portions of a variety of foods. Thank you so much. Spain is on the top of my bucket list so I loved this. I’m hoping to walk the Camino – perhaps this year. I cannot wait to eat tapas in a small Spanish village. 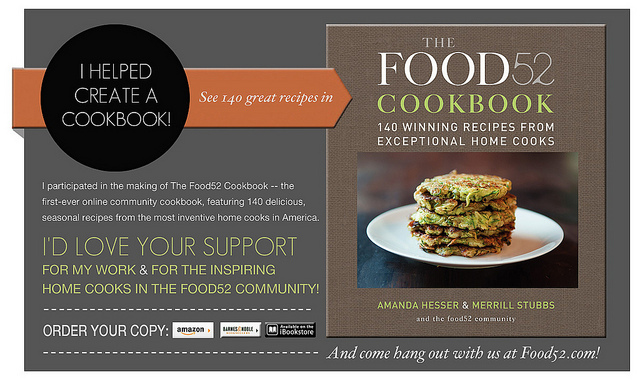 In the meantime – I’m looking forward to sampling some of your recipes. Thank you, I visited Spain years ago and it’s wonderful, The food is incredible!! Thank you. Oh I would love to call you next time! Thank you so much. Me too thank you, love just a bite, not too much! 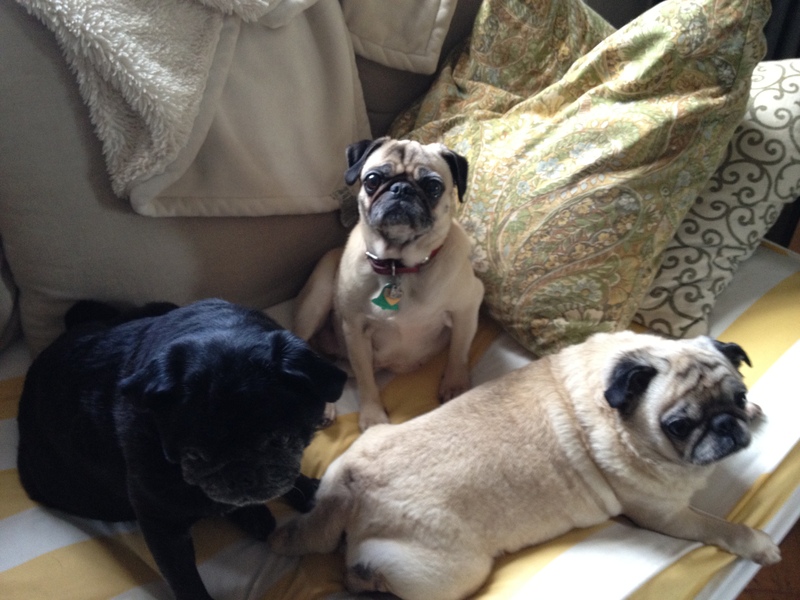 Thanks so much Margot! Tapas and wine – why don’t I do this more often? This looks like a delicious assortment. Did you serve the meatballs on bread as sliders?Yum! I love the garlic shrimp too! I served the meatballs on top of a dollop of polenta, they would make great sliders though. Great idea! Thank you. Yuuuum! I am a sucker for patatas bravas, I always end up finishing the plate! Your collection of tapas recipes all sound delicious! Also, I love that you advise “lots of wine,” I think I would fit right in at one of your tapas parties! Me too, patatas bravas is just about my favorite way to eat potatoes, toss up between that and creamy mashed. Thanks so much, yes wine and lots of it is mandatory, LOL!! In Greece tapas called mezedes and we all love them! These little appetizers are so delicious! Oh would love to see what you serve when you make mezedes. I LOVE Greek food, it’s wonderful and I can imagine the wonderful recipes. Thank you. You made all that? Wow! Now I’m hungry! Sure did, over a period of 2 days. It’s really easy to make and is delicious, thank you so much. I could pretty much annihilate everything with hunger in this post. Everything looks so great. Also cheese, olives and bread is always a favorite combo! Thanks Pamela, I completely annihilated most of it, especially the olives, cheese and bread. Those olives, roasted garlic and tomatoes and polenta all have my stomach growling!! 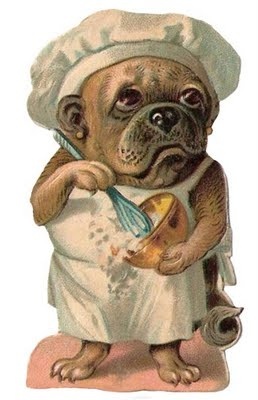 You have been busy in the kitchen and it all looks so scrumptious. Really, is there anything better than the smell of tomatoes and garlic roasting??! I can’t honestly think of anything more sublime than roasted tomatoes and garlic. Totally aromatic and delicious aroma, thanks so much Brandi. Oops it posted as the healthy flavor! I love tapas- one of our favourites for dinner! Love, love this post Suzanne! We lived in Spain for 12 years and would sit out late on sweltering summer nights over tapas with friends in little bars along the plaza. And when our kids are home at Christmas we cook up a tapa feast for quiet Christmas night dinner after all the hub-vu is over. It’s such a communal, delicious way to eat… fun post! Oh how wonderful, I only briefly visited Spain but loved it. Thank you so much, I totally agree, tapas is a great communal meal. 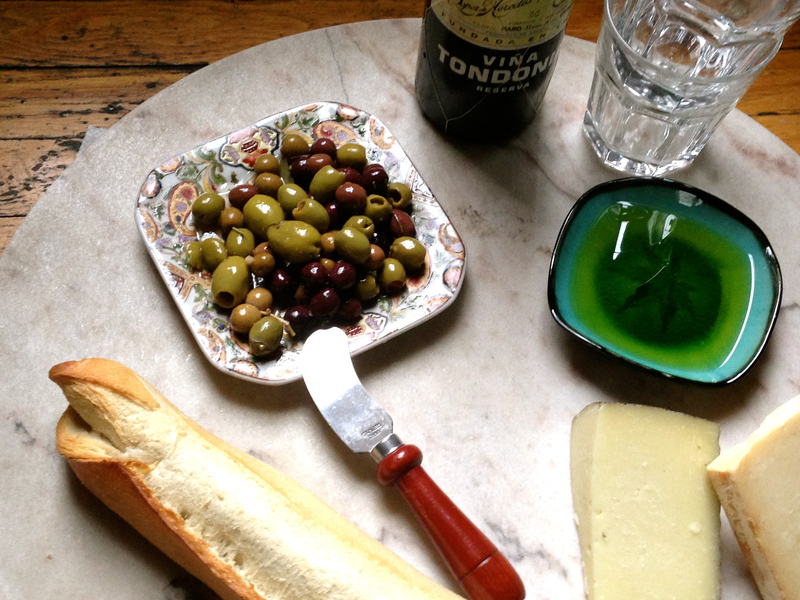 P.S.– those olives look pretty perfect– wish we had them in our neighborhood. Oh yes the olives are amazing, love the variety. Local store sells them in bulk, I could eat them all day. Thanks so much. Oh! You are making me hungry! These looks soooooo good!!!! Thank you, it’s pretty yummy. Wow Suzanne, what a feast! Tapas is very popular in my area right now, love these dishes! Thank you so much, I love tapas type meals no matter where the food is from small portions with a variety of different dishes is wonderful. Love the idea of sharing tapas – Spanish food is so mouth watering and flavourful. Great idea! Sometimes I want to make so many different things for a dinner party and this solves the problem – just make several different things in small sizes ;-)! Thanks Cindy, yes thats exactly what I like to do make a variety of dishes in small portions so everyone can have a little bit of everything. It’s fun and delicious. Ok, manchego polenta is a must. I’m making that for sure. This is one of those posts you just can’t get enough of. I’ve scrolled up and down several times now looking at your incredible looking food. I love all your dishes Suzanne and I would love to make the whole spread. What is your favorite on top of the polenta? Thank you so much. I love every dish and must say the polenta is pretty addictive. I served the polenta with the meatballs and tomato sauce, it was really good, I liked the polenta with the tomato sauce and grated some more manchego on top. I’m in love with Laura’s blog too!!!! And what a great idea to do tapas. They’re such a great way to eat, and love your selection. I especially love that you included polenta squares! Great idea. Thanks Susan, yes I love Laura’s blog. It’s always beautiful and there is always a delicious recipe or tow or three!! The polenta was my favorite! as you said, the small portions are great – more variety and interest. 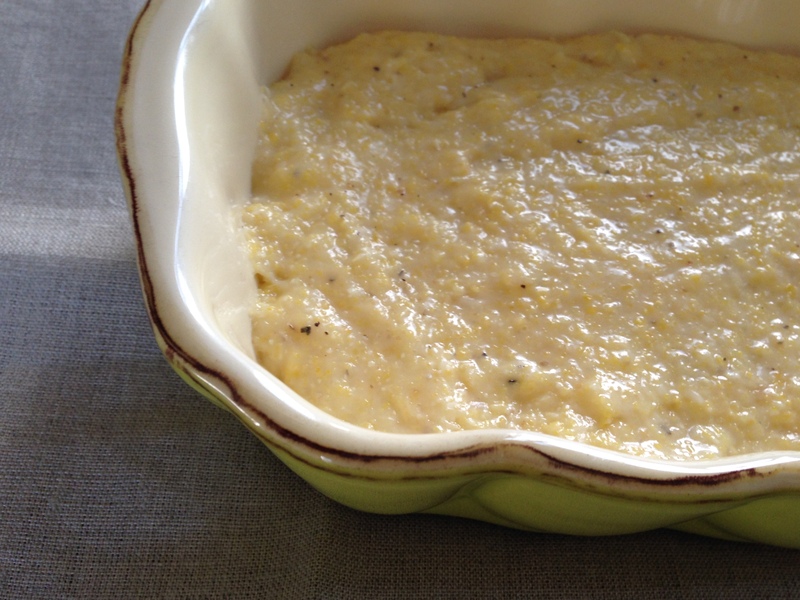 and we’ll be trying the Polenta this weekend. Thank you so much Emma I do hope you like it. I know what you mean, trying to balance the food we eat especially with restrictions is tricky. Thanks so much. These all look so good. We’re due for a tapas night down under, so thank you for the inspiration. Another favorite of mine was bacon wrapped dates stuffed with blue cheese. And anchovies. As many anchovies as I can get my hands on. Thanks so much and yes to the dates, bacon, blue cheese and anchovies, when I lived in Italy we used to eat fried anchovies by the dozen! Thank you so much. they did taste really nice. I have never made polenta before – I am intrigued…these tapas sound so delish – I so wish us bloggers lived close by so we could all meet and mingle over tapas like these – thanks for sharing Suzanne. Thank you so much Shashi, wouldn’t it be fun if we could all get together, I would love that! beautiful tapas! love that spanish garlic shrimp! such a great way to have people over and enjoy all of these! ciao! tapas are just the best. i so like small tastings that i often order many appetizers when at a restaurant. 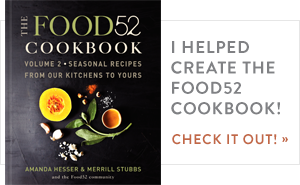 delicious recipes. I love ordering appetizers too, variety is what it’s all about along with small portions! Thank you. ciao! we must have small bites in the city! I love tapas and your look wonderful, Suzanne! Mouthwatering! Thanks Stefano I love drinking wine and eating tapas, it’s a great when you have company.